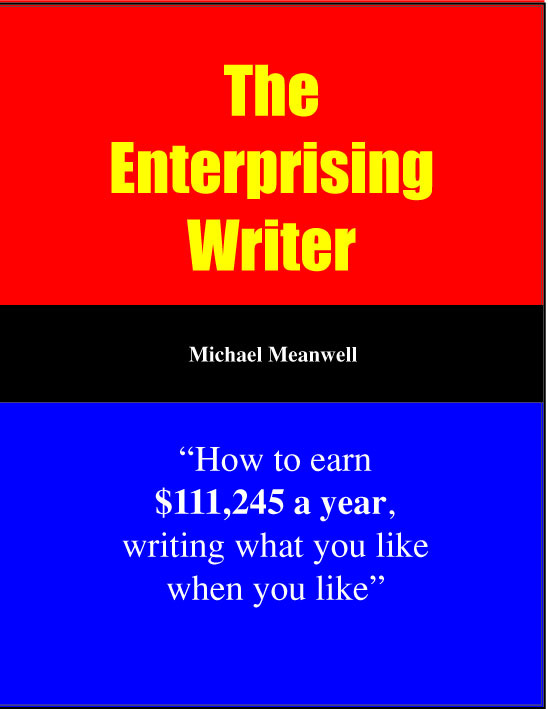 E-Book Cover: 'The Enterprising Writer', published by Meanwell in 2001. This was the first book Michael e-published. It was well received around the world and became the basis for the print edition in 2003.